Being taxed to go shopping is no fun, although fortunately there are a few places you can head to if you're looking to dodge the duty while splashing the cash, and many of these are located in Caribbean. That's certainly good news for anyone who likes the idea of enjoying some of the world's most exquisite beaches, and sipping on rum-filled coconuts while on the same day browsing through designer boutiques and snapping up some fantastic bargains. So, whether you're a sun worshipper, a shopaholic, or indeed both of these, you'll quickly discover that the palm-fringed islands that are sprinkled across the turquoise water of the Caribbean are a true paradise. Retail therapy in this part of the world is certainly a lot more exciting than it is on your local high street, and if you've got a British or American passport then you'll be able to pick up a truck-load of goods without paying any tax whatsoever. It is worth noting, however, that you'll only be allowed to bring back duty free products up to a certain value on each trip, so try not to go too crazy with the old credit card. Of course, there are literally hundreds of Caribbean cruise itineraries to choose from, with each having been tailored to suit travellers with particular interests. If shopping is a major priority for you, then make sure you choose a voyage which stops at some of the best duty-free islands. Read on if you want to find out which ones are worth visiting. 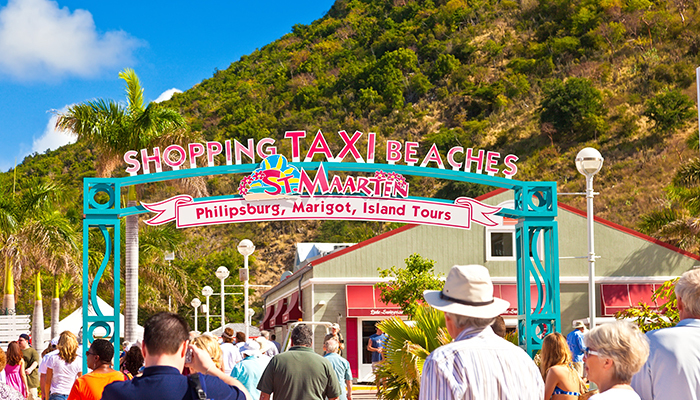 Considered by many to be the jewel in the crown of the Caribbean's shopping islands, St Maarten is certainly the place to be if you're looking to bag a bargain on high-end goods. The capital, Philipsburg, is simply bursting with designer boutiques and duty-free stores, with Front Street being the epicentre of all the card-swiping action. All along this mile-long thoroughfare you'll find famous brands like Cartier, Tiffany, and much more, offering up to 40 per cent off jewellery, clothes, and other items. The city is also a great spot for picking up electronics on the cheap, so if you're looking for a new fancy camera or watch and don't want to pay top dollar, then be sure to spend some time browsing the shops of Philipsburg. Curacao boasts the Caribbean's largest tax-free shopping area, with the 57-acre-wide harbour in Willemstad (the island's capital) being packed with shops that offer goods with no duty attached. If you've got the time and the inclination to browse through them all, you're likely to come away with some serious bargains - find everything from local arts and handicrafts, to fine jewellery, homeware, fashion, and much more. In fact, many people come to the island from far and wide simply to go shopping, and while this may seem a little extreme if you're based in the UK, it's certainly worth choosing a cruise itinerary that gives you a day or two to browse the shops of Curacao before continuing your exploration of the Caribbean. A word of warning about shopping in St Thomas - the main retail areas tend to be as frantic as Oxford Street at Christmas time. Of course, while that might sound a little off-putting, it is simply a testament to the fact that some of the best duty-free shopping in the world can be found here. Located in the US Virgin Islands, St Thomas's laws provide special leniency to US citizens, who are allowed to take up to $1,600 worth of tax-free goods back home with them. That's not to say that Brits aren't also able to take advantage of the many bargains to be had here, although you may want to consider checking just how much you're allowed to buy before committing to any purchases. Just like in many American cities, the capital city of Charlotte Amalie boasts a major thoroughfare called Main Street, which is where you'll find a huge concentration of duty-free shops. Others are located on Waterfront Street and Back Street. 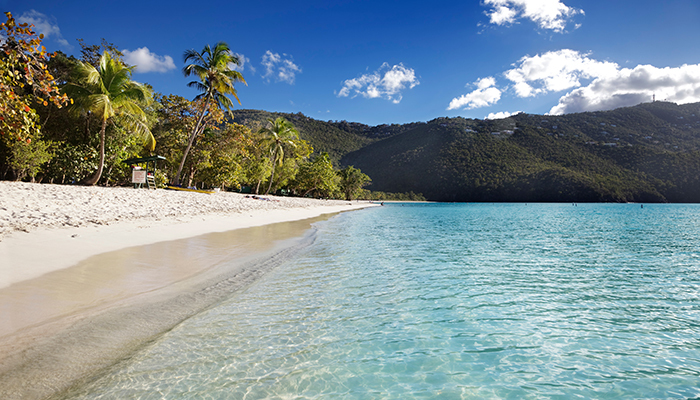 Combine beautiful weather, white sand beaches and tax free shopping on a cruise to the Caribbean.